The 3.5-inch monitor is a great entry level monitor with a single input. It’s designed to fit in tight spaces such as dash consuls and can be placed on top of any dash space. Its includes dash mount the can be fastened to the dash with screws or adhesive. 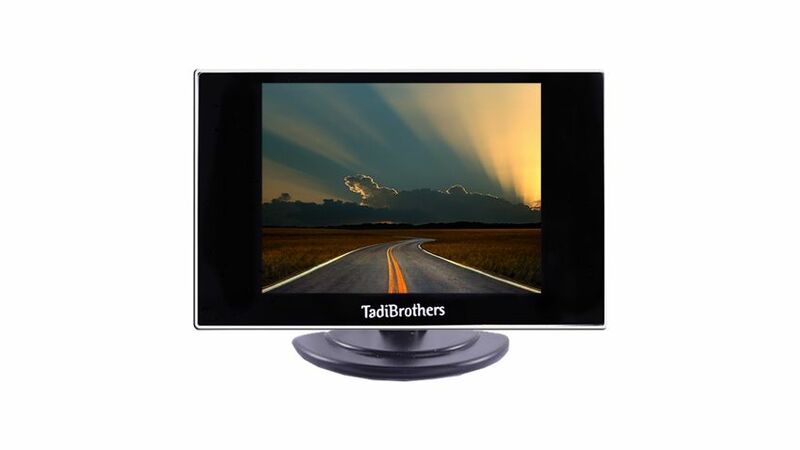 This monitor has been also used for motorcycle backup camera systems as well as trucks, its size makes it very customizable. There is also a pop up version of this screen which means that when it’s not in use, it can be pushed down to lay flat. This upgrade can be done by using the “Customize and Upgrade” menu at the top of the page. The single input on this monitor can automatically turn on when you go in reverse or be left on continuously while you’re driving down the road. You need a 2nd input we suggest you add our A/B Switch Box (SKU23497) and that will let you toggle between two inputs. If you have an old style monitor or camera from other brands such as Voyager, Furrion, Weldex, Sony, etc.. we have adapters for those as well. 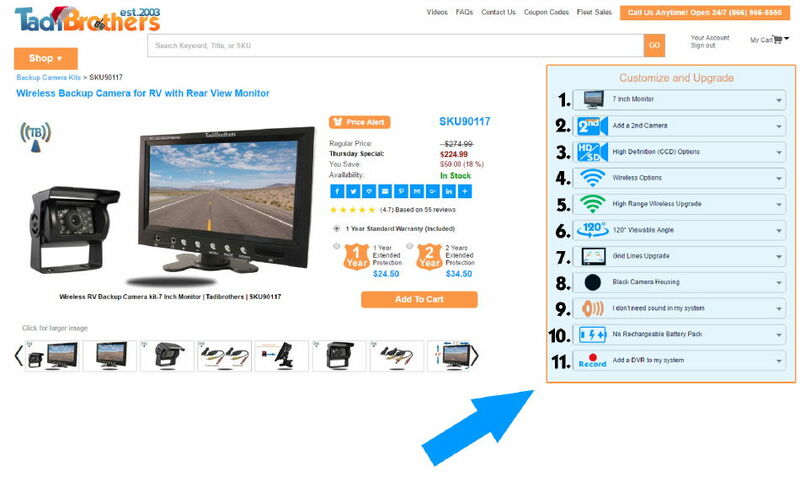 This small monitor is compatible with all of our backup cameras, wired or wireless, you can make this a full system by adding a camera by using the “Customize and Upgrade” menu at the top right of the page.